If you visit the Powell website, there are many resources and links available. There are sections you can explore that go well beyond product information. You can find a dealer, schedule a repair, shop for Powell products, and much more. 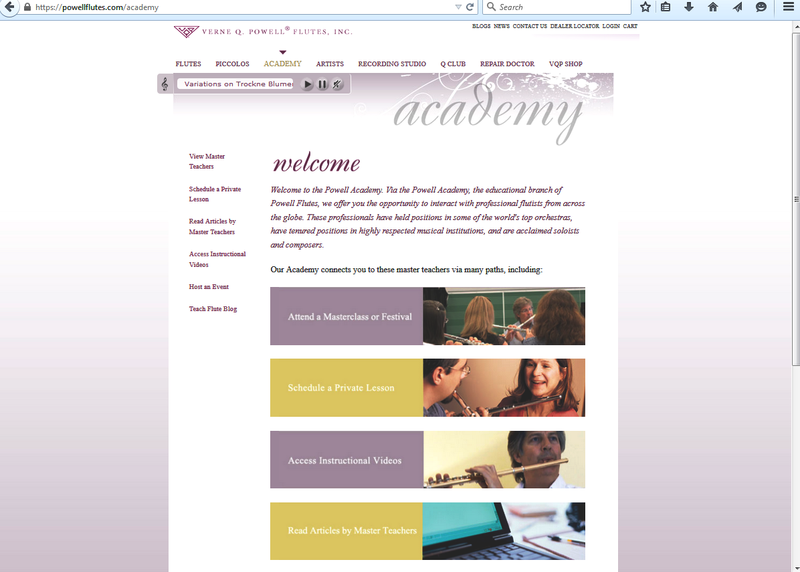 One section of our website, the Powell Academy, is our educational portal. It connects you not only to educational videos and articles by artists, but to the artists as well! Imagine taking a lesson with your favorite Powell artist... It's possible through the Powell Academy! On the Academy page, if you click the "View Master Teachers" heading on the left side menu, you'll be taken to a page with the teaching artist roster. Once there, you'll be able to click on the artist's name to view their full profile. (You can also mouse over the "Academy" heading in the top horizontal menu bar, and a drop-down menu with the Academy sections will appear.) There are thirty-nine teaching artists who are located around the globe, and distance is no obstacle since you have the choice of a live or Skype lesson. Click "Schedule a Private Lesson" on the left side menu (or from the dropdown menu at the top), and you'll access our online lesson request form, where you can select the artist of your choice and the date that works best for you. 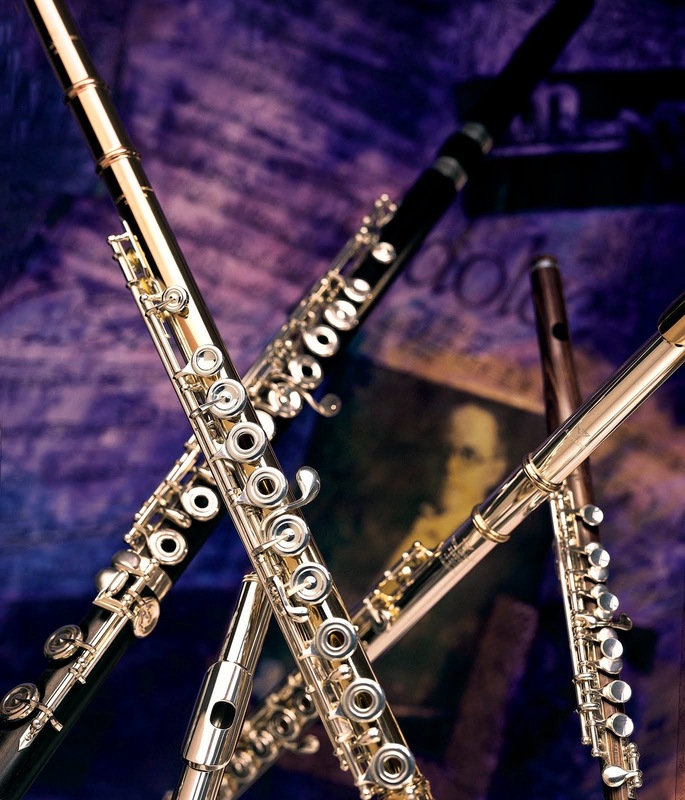 Interested in having a Powell teaching artist come in for a masterclass? You can also submit this request through the Powell Academy. Click the "Host an Event" heading (left or top menu), and you'll be taken to the online request form. We hope you'll enjoy visiting the Powell Academy page. The side and top menu bars should make it easy to navigate. If you enjoy reading posts here on Teach Flute, you might notice that one of the sections in the Powell Academy menu will take you here!